Purple Inferno is an exciting son of the good Red Hot bull who was a two time National Division Champion. 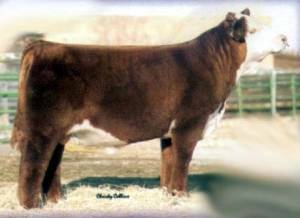 His dam is a full sister to Purple Reign’s popular Tonic bull. Inferno will sire some great profiled, extra thick calves for you.